Though writers can’t copyright recipes (which are considered formulas), copyright does protect almost all their other work the moment they create it (if original and creative) and put it in a format that others can access (written, typed, dictated, filmed, etc.). But defending that copyright and making it profitable takes more effort. 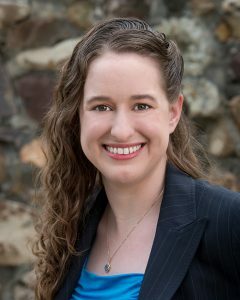 Writers will learn what they all need to know about protecting themselves and their work during the Writer’s World 2018 presentation “Lessons in Literary Law” by Kelley Way, who specializes in literary (copyright and contract) law. The day-long Writer’s World event will be held Sept. 8 at Dominican University of California in San Rafael; attendees can register through Baipa.org. Writers need to know the best strategies for avoiding problems with copyright, trademark, right of privacy, defamation, and contract law. For example, if a memoir contains something unflattering about someone, that person can sue the writer for defamation (libel). Writers are protected, though, if the information is true. But, Kelley warns, the truth doesn’t protect writers from being sued for invading someone’s right to privacy. In addition, because criminals can easily strip off any protections a writer puts on e-books, Kelley recommends ways to enlist help from sources such as the DMCA. Kelley, whose first client held the rights for the works of a New York Times bestselling author, will regale event attendees with stories of the mishaps and crises that writers and publishers can face and how to avoid the problem in the first place. Kelley, principal of the Law Office of Kelley A. Way in Walnut Creek, Calif., received her juris doctorate in 2010 from the UC Davis School of Law and is a member of the California State Bar, the American Bar Association, the Contra Costa County Bar Association, and the Christian Legal Society. She has presented to more than 15 Bay Area groups about literary law and estate planning.